New York City is known as one of the most romantic places in the world. With its bustling economy and its plethora of people, you should never get bored there. However, we all freeze under pressure and deciding what to do for your next romantic date can be a lot to think about. But this time, we’ve done all the hard work for you. Take a look at our foolproof list of best date ideas NYC. Coming up with an idea for your next romantic date can be hard. There are always the classic movie nights and dinner dates, but those get old very quickly. Luckily if you live in New York City, you live in one of the biggest cities in the world. Date ideas in NYC are endless; you just have to search for them a little. Thankfully in NYC, you can find an activity that aligns with any of your interests. Do you love to play video games? There is an activity for that! Or maybe you have a passion for ping pong. There is actually an entire bar based around ping pong where you and your friends can jump off your phones for a while, play ping pong, have a couple of drinks, and just enjoy each other’s company. And that’s not even the best of it. For example, (Le) Poisson Rouge is a venue that is a music and art cabaret. Here you can eat and drink with your partner while being entertained by some of the best performers in the city. Even better, you can make it a double date. You are bound to have an experience you will not forget. What do you think of a night full of laughter with your love? Go to a sketch comedy show at one of UCB’s two locations in the city. Or maybe you are interested in a more romantic date. Head to Central Park, choose from one of the park’s two temporary winter ice skating rinks, rent some skates, and glide along hand in hand. Don’t forget to treat yourself with some delicious hot chocolate afterward. If you can’t tell by now, New York City has you covered when it comes to date night ideas. Adventure is just a click away for you and your partner. The following list of “Date Ideas NYC” was reviewed based on parameters such as features, what each date entails, pros & cons, price, where to purchase tickets, and other informative facts. Each date idea was researched extensively to ensure we provide you with the best activities the Big Apple has to offer. Date nights in NYC can vary in price drastically. The date ideas on our list range from around $10 per person to around $100 per person. The Museum of Interesting Things is a traveling interactive experience for all ages. The museum features artifacts and antiques of all sorts. These fun items show the history of some of our everyday items such as phones, headphones, and computers. With all the incredible museums in New York City, it can be hard to choose just one. The Museum of Interesting Things is almost more like a speakeasy than a museum. 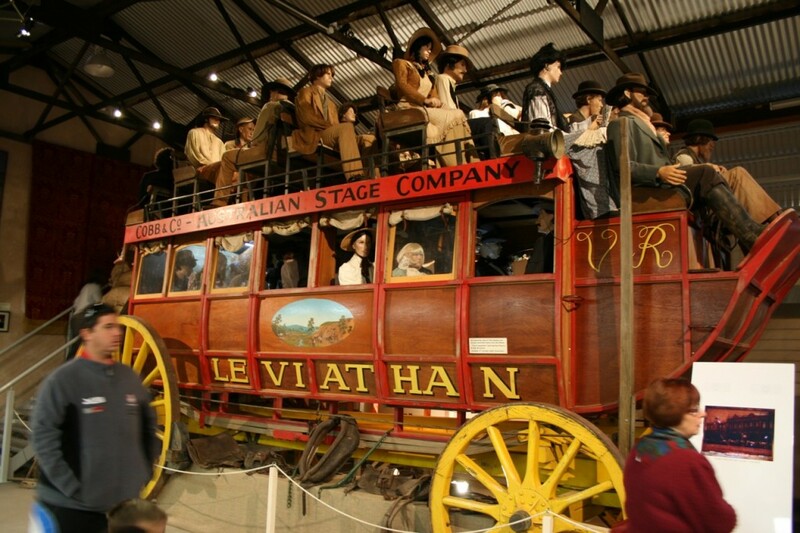 Many people do not know about this incredible museum and you do not want to miss it. A ticket to the Museum of Interesting Things costs around $20 from the museum’s website. Spin is the hangout spot you and your friends could only dream about when you were younger. It is a great option if you are looking for date ideas NYC. Spin is a place to drop your devices and have fun with friends. Spin was started by two friends who had a goal to get good enough at ping pong to go to the Olympics. They would hold weekly ping pong parties with their friends and realized they could turn their leisurely activity into a full-on business. 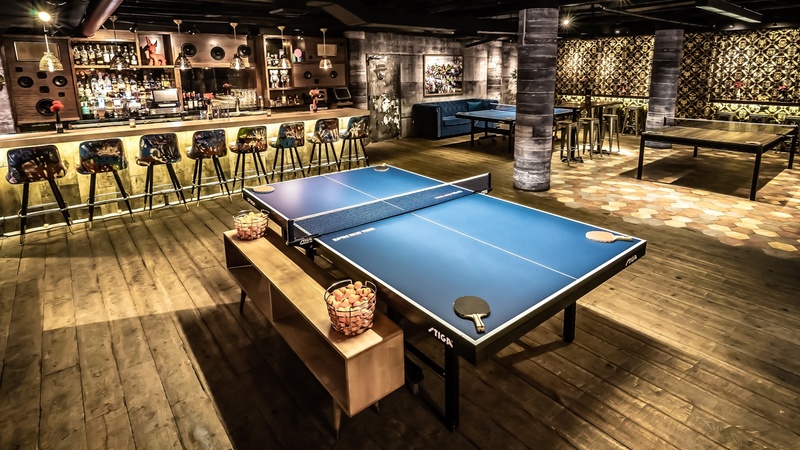 At spin you can play ping pong, drink, and catch up with friends and acquaintances. At Spin, you pay $1 for every minute you play. There are also membership packages available. 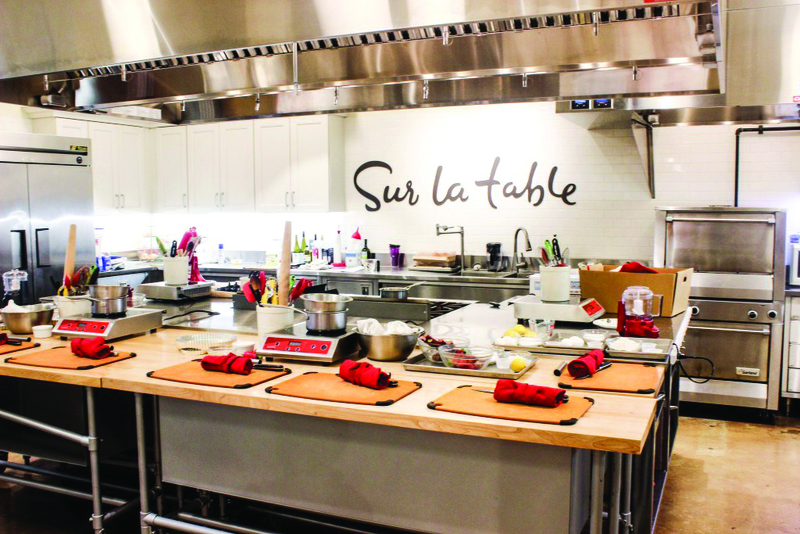 A cooking class at Sur la Table is one of the best date ideas NYC. Sur la Table offers cooking classes for all types of cuisines. If you and your partner like Thai, Mexican, classic American, Italian, or any other type of cuisine, you can find a cooking class for it! A professional chef will walk you through each step through the entire hands-on cooking experience. The best part is you get to taste everything that you cook! A cooking class at Sur la Table will cost you around $100. Some classes are cheaper and some are more expensive; it just depends on the class and what you are cooking. Learning about Tarot from a shaman is one of the most unique date ideas NYC. The class is held by a renowned urban shaman who has been reading tarot cards and teaching for over 30 years. 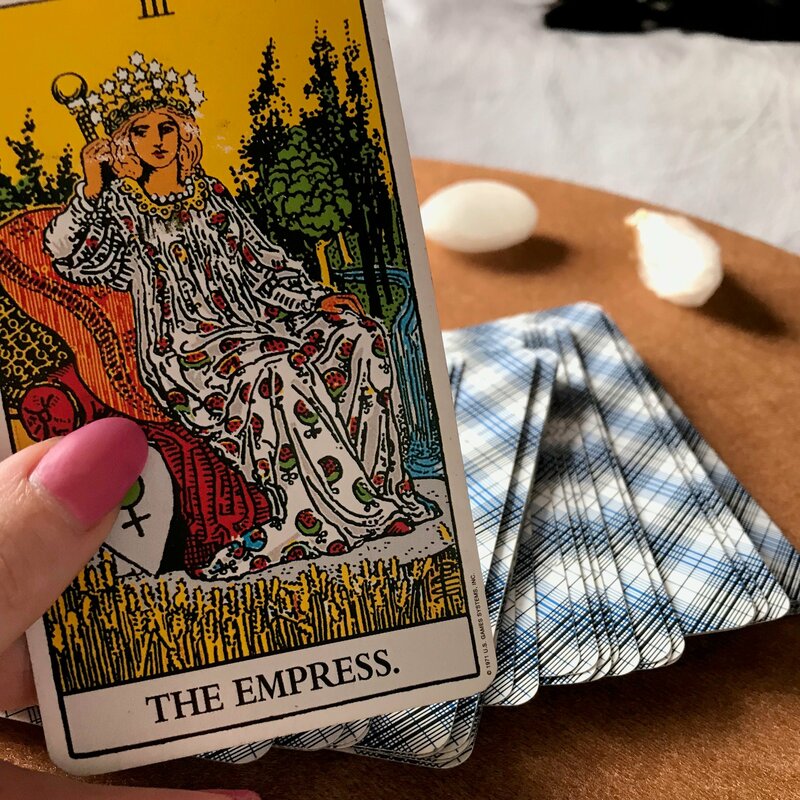 Included in this three-hour class you will receive a basic tarot card reading followed by expert lessons on how to read tarot cards. If you and your partner enjoy spiritual conversations, this is the date for you. Tarot 101 will cost you around $60. This does not include the cards which you must bring or buy once you are there. A concert at (Le) Poisson Rouge is one of the best date ideas NYC if you love cabaret. This space is a hybrid music and multimedia art cabaret. Since 2008 this location has been a place for people to express themselves through music and art, and you and your partner can witness the magic while eating, drinking, and talking. Is there anything better than a dinner with entertainment? We don’t think so! Tickets to (Le) Poisson Rouge cost around $20. Graffiti lessons with a professional graffiti artist is an extremely unique date idea. You and your partner get to spend the day doing an activity you were always taught was bad. It is an incredible release of expression. 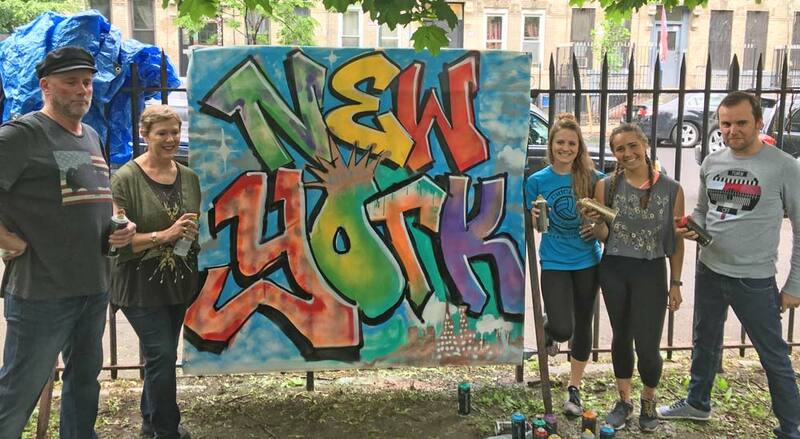 You are led by an authentic NYC graffiti artist who helps you create a masterpiece of your own. These classes are an hour long and start at 3 pm every day. You can take this graffiti class for approximately $40 per person. Calling all coffee lovers! We have found one of the best date ideas NYC for you! Stumptown Coffee doesn’t want you to have to choose just one of their amazing blends, so they have put together a tasting of all of them! This is a more unconventional date idea since you will most likely partake in the tasting during the morning, but it is a perfect weekend morning date idea. If you are really feeling up to it, book the graffiti lesson or tarot class right after and have a full day of dates. 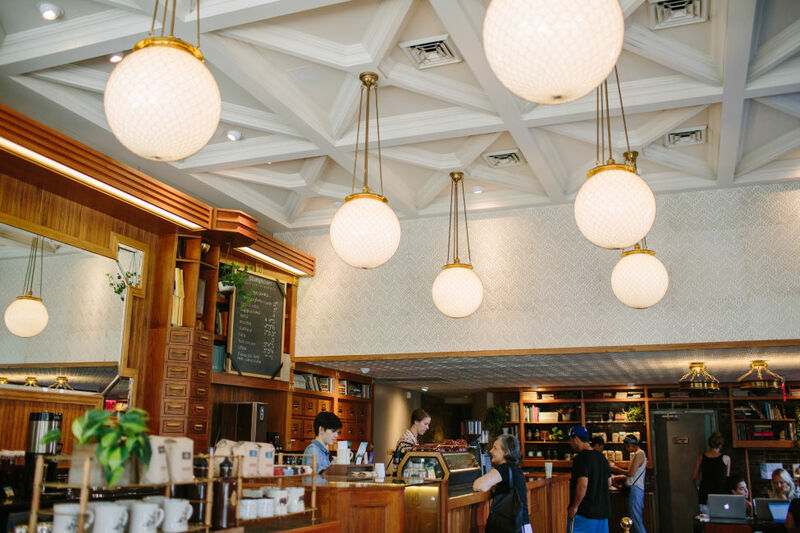 You can partake in the Stumptown Coffee Tasting for around $10. If you want the ideal winter date in NYC, ice skating in Central Park is for you. Take your pick between two ice skating rinks in Central Park and enjoy the cityscape in the background. Don’t worry if you don’t own a pair of skates; you can rent them there as well as a locker to hold all of your belongings while you are on the rink. Spend the evening holding hands and skating around while listening to holiday music and don’t forget to grab some hot chocolate when you are done! 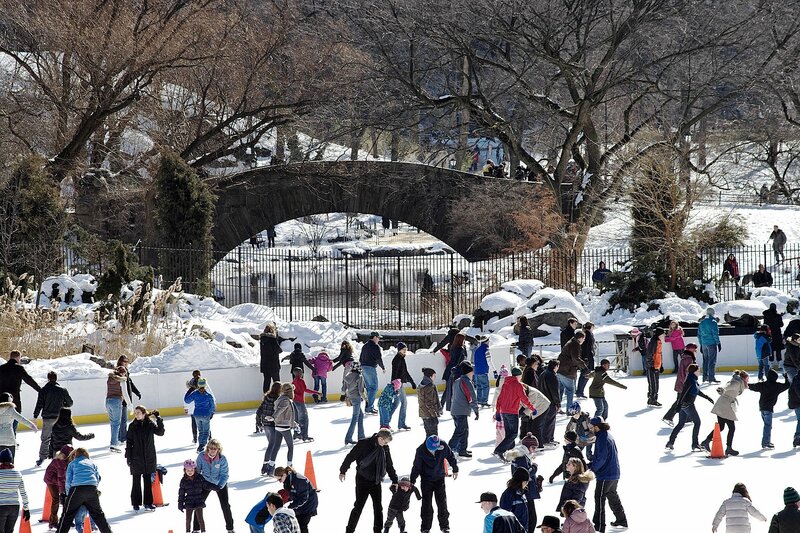 You can ice skate at central park for around $35 per person. This does not include all the hot chocolate you may consume afterward. Who doesn’t love to laugh? A date night at the UCB is the perfect excuse to let loose and laugh out loud. Sketches at the UCB include but are not limited to comedy pieces about race, politics, parenting, and so much more. There are multiple shows every night both at the East Village location and the Hells Kitchen location. Grab some dinner before or after and make an entire evening of it. Tickets to comedy sketches at UCB are around $10 per person. Taking a tour or doing a tasting is one of the most fun date ideas NYC. If you like whiskey and are interested in how it’s made, then Kings County Distillery is the place for you. It is one of the oldest and largest whiskey distilleries in New York City. Take a tour of the nearly 120-year-old building and learn all about how this whiskey has made a name for itself since the Prohibition era. 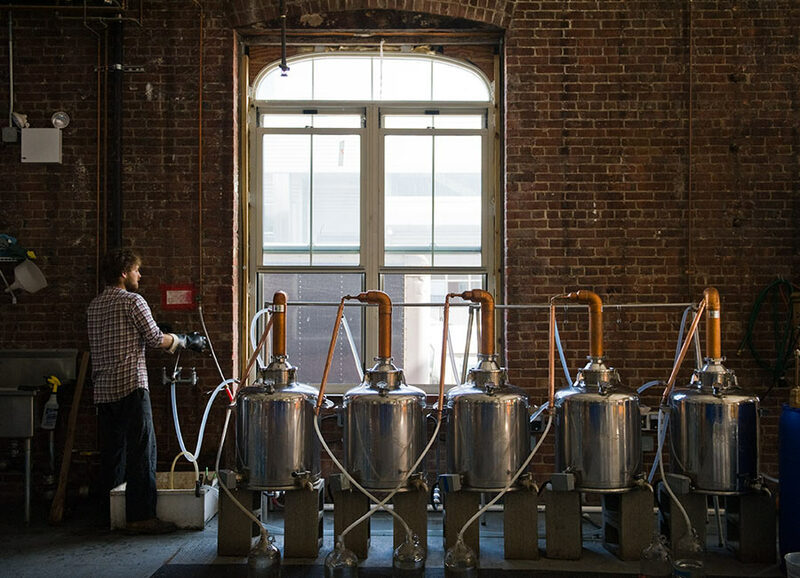 You can spend an entire day at the Kings County Distillery. If you want to take a tour, it will cost you around $15 per person. If you would like to just visit the tasting room, drinks start at around $15. No more stressing about what your next romantic date will be. If you live in New York City, you are in one of the biggest cities in the world, and it’s just full of adventures waiting for you. How does a day full of drinking and learning about whiskey at Kings County Distillery sound? If you like drinking flights and learning about the history of whiskey made in NYC, this is one of the best date ideas NYC. Maybe a day full of walking and learning is not for you. Don’t worry! There are so many other things to do. Unleash your creative side by taking classes from a NYC graffiti artist or your spiritual side by taking a tarot card reading class. The date ideas in the city are endless and are awaiting you and your partner!